Removes your nail polish without drying out nails and skin. Dampen cotton pad with remover and press onto nail surface. Hold in place to let the remover to soak into the nail polish and remove in one swipe. Two applications may be needed to remover darker nail shades or glitter polishes. Showing our 2 Mavala Crystal Nail Polish Remover (100ml) reviews with an average rating of Excellent. Would you like to write a review? 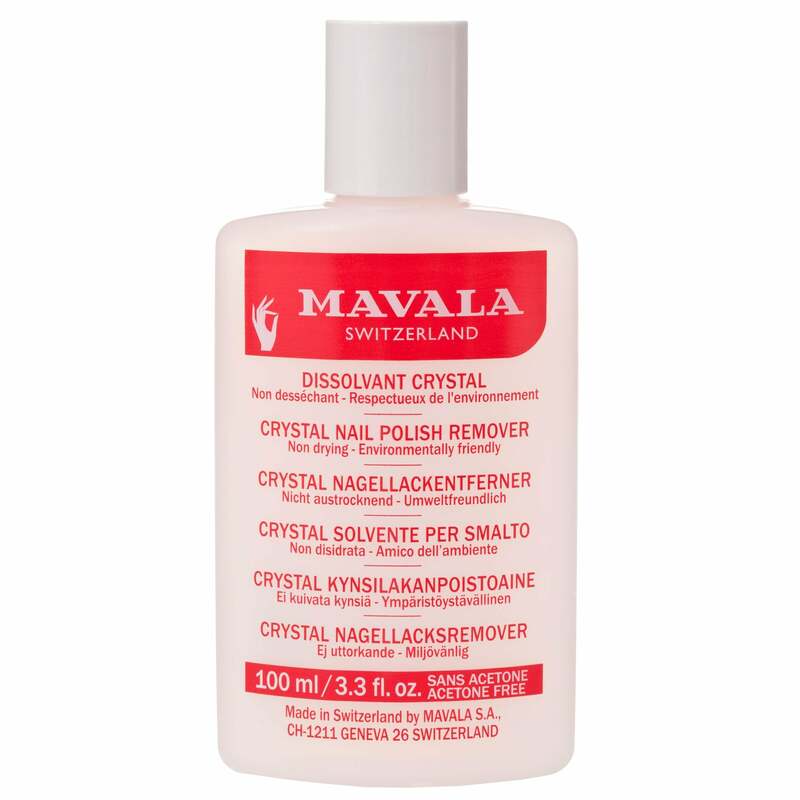 Mavala Crystal Nail Polish Remover works gently and thoroughly. It is different from regular nail polish remover; it's rather oily and you'll want to wash your hands and nails with soap and water after you have used it. It's acetone-free so it's good for the environment and good for your nails. It also has no odour. If you have sensitive nails, this product is a real find!